The Federal Reserve has spent over $4 trillion buying up mortgage-backed securities in it much-publicized Quantitative Easing plan to boost the economy. But, according to a new op-ed confessional by a former QE architect, the main beneficiaries have been the big banks of Wall Street. The plan involved buying huge amounts of bonds and mortgage-backed securities. The goal, as announced by Fed officials, was to help banks keep the cost of credit low enough that average Americas could continue to buy goods and services while the economy turned itself around. 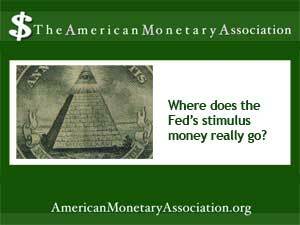 As Huszar tells it, the original plan involved buying $1.25 trillion in mortgage bonds in just twelve months – an unprecedented economic stimulus that, the Fed claimed, would have profound effects on the economic picture for all Americans. Do Bank Fraud Settlements Help Customers?